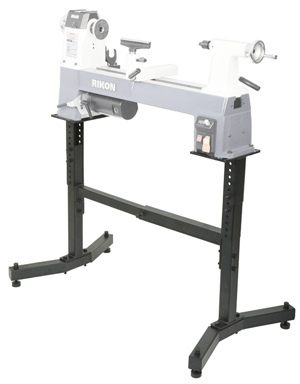 This stand is used for the RIKON 70-220VSR Lathe. It is made of steel and gives a wide support for the machine. There is a $30.00 additional shipping charge for this item. It is shipped directly from the manufacturer and is only available in the 48 contiguous states.